Your smile is the first thing people notice when they meet you. 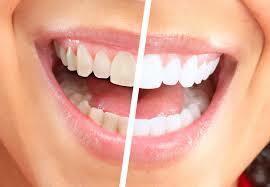 A whiter and brighter smile can help you feel better about yourself as well as make a lasting impression. Lifestyle as well as the natural aging process will darken your teeth. If you are drinking coffee, tea, red wine or are a smoker you will be prone to staining. If you would be more comfortable whitening your teeth at your own pace and in the privacy of your own home, we can custom make a Zoom! take home whitening kit for you. Typically, you will follow your home teeth whitening regimen for a couple of weeks, although we will discuss this with you at your appointment as it does vary from patient to patient. Our professional Zoom! in the chair whitening machine will get your teeth back to their best aesthetic condition. The process is quick, long lasting, safe and effective and we can now use variable settings to minimise sensitivity. One visit is usually all it takes for a bright smile.